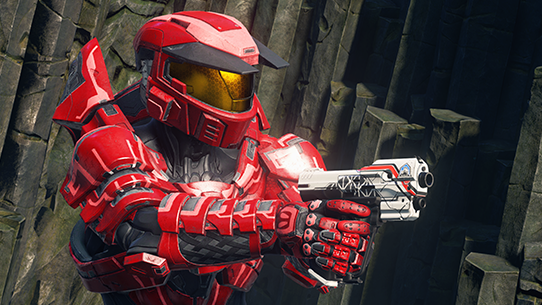 A few weeks ago we shared the first details on the upcoming 2018 season of the Halo Championship Series – you can catch that article here. Today, we’ll be sharing more information about each event including formats and roster deadlines, online tournament information, and more. Let’s get right into it. The HCS 2018 season format will closely resemble the HaloWC 2018 season in that players around the world will compete in a points-based system. The better a team places in online tournaments and LAN events, the more points they’ll accrue. The team with the most points before each event will qualify for group play which also comes with the added benefit of travel and hotel coverage. As always, at the end of the season points will only get you so far however, as the winner of the Finals tournament will be the season champion. Like last season, teams will compete in online ladders and weekly online tournaments on MLG's Gamebattles in an effort to not only pick up some prize earnings but also seeding points that will determine where teams start in each tournament. Online ladders in North America, LATAM (Mexico), Australia & New Zealand, and Europe will open up on June 21 at 10AM ET with the first online tournament taking place on Saturday, June 23 (June 24 in ANZ). Online tournaments will continue each Saturday leading up to New Orleans where teams will gather as many points as possible to get the highest seed entering the first event of the season. In terms of region support, there is one change coming from last season. After much deliberation, we’ve made the difficult decision to exclude the South America sub-region which stood within the larger Latin America region due to lower than expected participation. The South American Halo players are passionate and competitive, and so we’ll be looking at ways to support grassroots activities as a way to help build up that region, and others as well. This season we'll also be broadcasting final 2k matches live from the MLG Studios in NYC. For certain tournaments, play will stop before the semifinals and will instead be played live on broadcast. Following the 2k Finals, we'll also be broadcasting show matches with a more fun and unique twist. As always, you can catch the action live on mixer.com/Halo, twitch.tv/Halo, and MLG.com/Halo. The first event of the season will be in New Orleans alongside the Gears Pro Circuit with our partners at MLG. It’s important to note that the HCS and Gears Pro Circuit tournaments are completely separate and HCS players will only be required to participate in the HCS tournament. With New Orleans being the first major event since the HaloWC 2018 Finals, we wanted to ensure that teams were recognized for their performance last season, given opportunities to make roster changes, but also rewarded more for performance at a live event rather than just online play. Like Orlando, we’ll be grandfathering teams from the prior season’s performance but this time it will be the Top 8 teams from the HaloWC Finals that took place in April. All teams (including grandfathered teams) must purchase a team pass to register their roster on team builder. Pool Play teams will be refunded after they have qualified by the roster lock dates. Any remaining spots in group play will be filled by teams based on points totals gathered online. A team from Latin America and a team from Australia and New Zealand will still receive travel coverage for this event. While more details are on the way for the HCS 2018 Finals, we can confirm that it will be an open event, much like the Summer and Fall 2017 Finals from last year. This means that while players will be invited to the group stage based on their placings throughout the season, any team from around the world can participate. Stay tuned for more information. In order to accommodate the addition of Oddball to the competitive rotation, we’re also updating how series layouts are built in order to provide a balanced approach to each series while also ensuring that teams are playing each mode as they progress through a tournament. 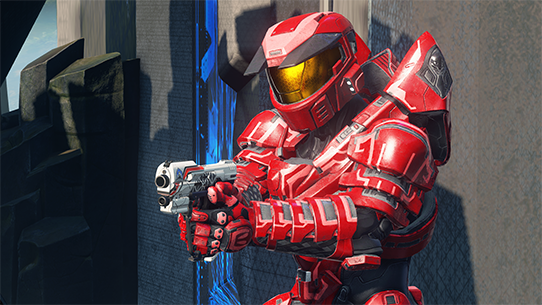 The 2018 season of the Halo Championship Series will not only see an updated competitive gameplay landscape but also an updated format for the league itself. Will Splyce be able to continue their dominance? Or will another team be able to topple the kings? The action starts later this month!